Irvine, Calif. – Oct. 1, 2013 – The journey in Etria begins today with Etrian Odyssey Untold: The Millennium Girl (EOU), the much anticipated Nintendo 3DS title developed by ATLUS. Although the game is the newest entry of the Etrian Odyssey series, it’s a re-imagining of the first Etrian Odyssey, but with plenty of new features and additions to make it a fresh new experience. EOU is an RPG adventure that has addicting dungeon mapping mechanics, intense turn-based combat, challenging enemies, and a series-first Story Mode with beautifully animated cutscenes and excellent voice acting. Etrian Odyssey Untold is now available in stores and in the Nintendo eShop for $39.99. 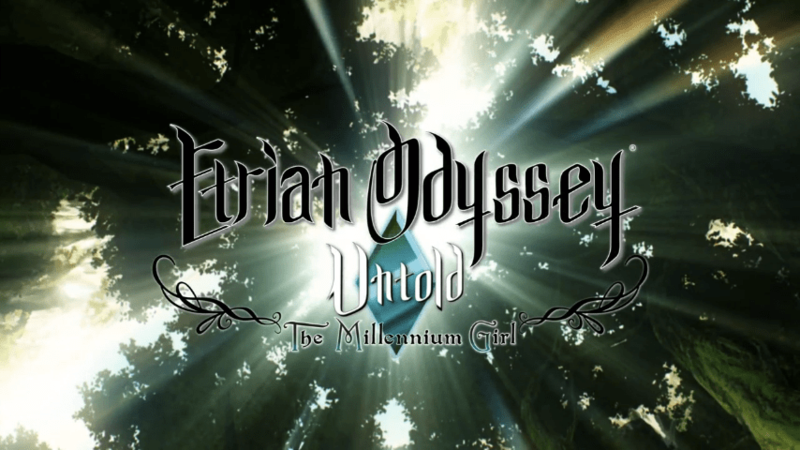 Etrian Odyssey Untold: The Millennium Girl offers two full-length experiences: The expanded story mode takes players on a journey to unravel the mystery of the Yggdrasil Tree’s origins, and the classic mode updates the original Etrian Odyssey with new dungeon layouts and challenges . Both versions feature the same gameplay conveniences, updated 3D graphics, and StreetPass functionality as in Etrian Odyssey IV. Etrian Odyssey Untold: The Millennium Girl is available exclusively on the Nintendo 3DS system for $39.99. Pre-orders and the first run of Etrian Odyssey Untold: The Millennium Girl are getting the “Untold, Unseen, Unheard” bonuses. The game is rated T for Teen by the ESRB. For more information, including updates on the game, please visit the official website at: http://www.atlus.com/untold.